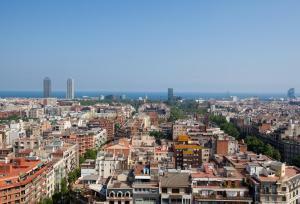 Offering different location, Click&Flat Eixample Derecho Apartments is located within 15-minute walk of the Sagrada Familia. These stylish air-conditioned apartments offer free Wi-Fi. Each apartment at Eixample Derecho Apartments features a living room with a flat-screen TV, DVD player and dining table. A washing machine and oven are included in the well-equipped kitchen. 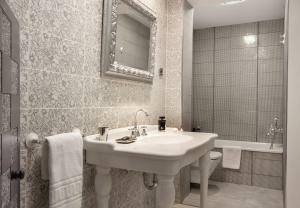 The bathroom comes with a shower; and bed linen and towels are provided. 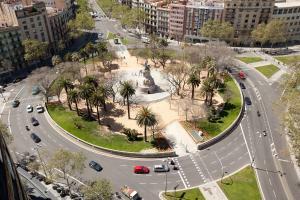 Plaza Catalunya and Passeig de Gracia, famous for its designer shops, are within a 10-minute walk of the apartments. 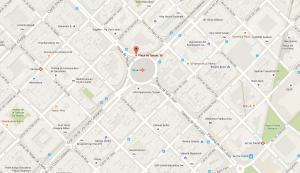 A number of metros stations, such as Marina, Arc de Triomf and Tetuan, can be reached in around 5 minutes on foot. 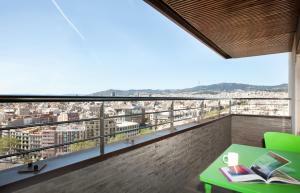 Please note that this property offers apartments in different locations around Barcelona, near the Eixample District. Check-in takes place directly at your apartment. Please see the individual apartment descriptions for the address and more details. Please note that a surcharge of € 30 applies for check-in between 20:01 and 23:00 and a surcharge of € 50 applies to check-in between 23:01 and 02:00. Address. Plaza Tetuán Set in a building with a rooftop swimming pool and terrace, this stylish, air-conditioned apartment offers free Wi-Fi and a private balcony with views over Barcelona. It is located on the 17th floor. 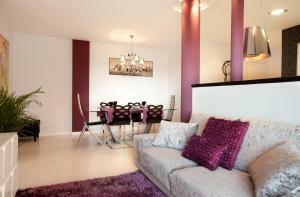 The spacious apartment has a living room with a flat-screen TV, sofa and dining table. 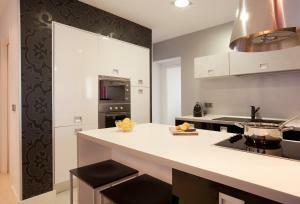 The well-equipped kitchen comes with a dishwasher, washing machine and oven. There is a double bedroom, a twin bedroom and a single bedroom. 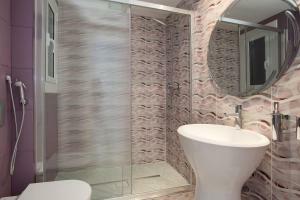 The apartment has 2 modern bathrooms, one with a bath tub and one with a shower. Bed linen and towels are provided. 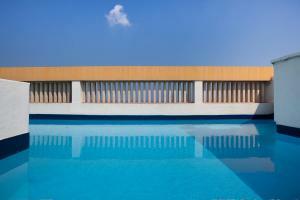 Please note the swimming pool is open from June 1st to September 30th. 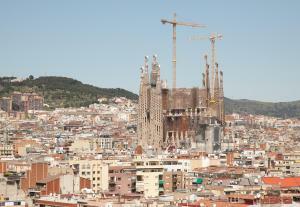 Rate: € 264.00 ... € 605.00; select dates below to get current rates. 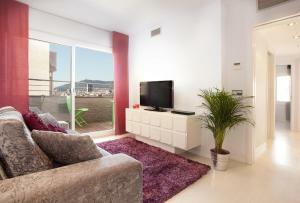 Address: Calle Meridiana, 2 This bright, air-conditioned apartment is located on the 1st floor and has free Wi-Fi. 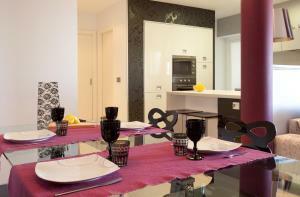 The spacious apartment has a living room with a flat-screen TV, a sofa bed and a dining table. 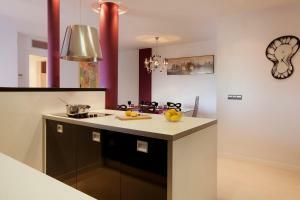 The well-equipped kitchen comes with a dishwasher, washing machine and oven. 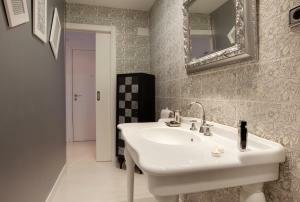 There is a double bedroom and twin bedroom, as well as a modern bathroom with shower. Bed linen and towels are provided. Please note that this apartment does not have access to a swimming pool or parking. 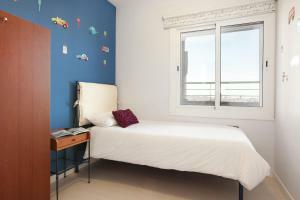 Address: Calle Meridiana, 1 This bright, air-conditioned apartment is located on the 1st floor and has free Wi-Fi. 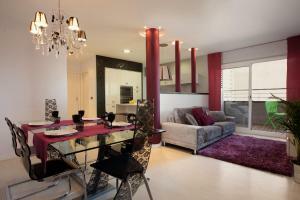 The spacious apartment has a living room with a flat-screen TV, a sofa bed and a dining table. 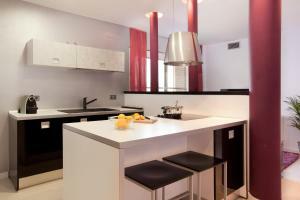 The well-equipped kitchen comes with a dishwasher, washing machine and oven. 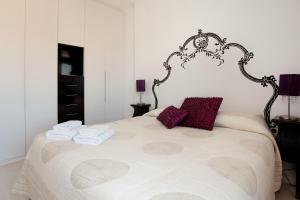 There is a double bedroom and twin bedroom, as well as a modern bathroom with shower. Bed linen and towels are provided. Please note that this apartment does not have access to a swimming pool or parking. 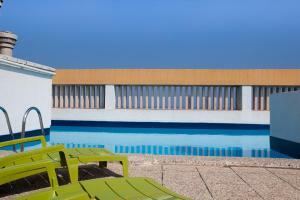 Rate: € 82.00 ... € 594.00; select dates below to get current rates.